Is graffiti street art or pure vandalism? This probably depends on whether you hold the paint can or own the building? 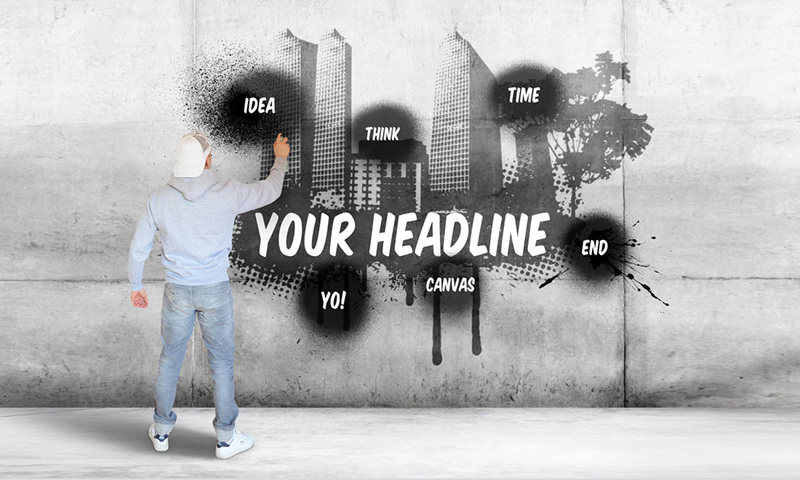 A creative prezi presentation template with a man painting graffiti on a concrete wall. Zoom into the abstract design elements and present about creating street and or simply make an urban style presentation. A young man standing in front of a gray concrete wall and painting an abstract city design onto the wall. Customize the presentation by duplicating the paint splatter elements and adding more slides. You can also delete the young man image and only have the concrete wall background. 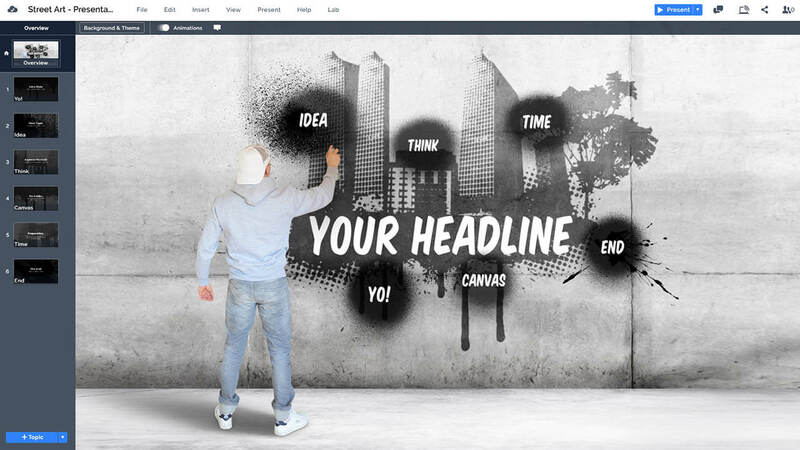 Paint your ideas on the wall with this Prezi Next Presentation Template. The overview slide features a hip hop guy holding a paint can and doing an abstract graffiti on a concrete wall. The overview slide also includes a large text placeholder for your presentation title in the middle. Advance the presentation by zooming inside the paint splatter elements. Easily duplicate the splatter elements if you wish to add more topic placeholders. Write your message on the wall! That’s one of the oldest ways of getting your message out there for a large audience of people. Did you know that there were signs of graffiti discovered even in the ruins of Pompeii? This template is perfect for talking about the hop hop culture or the history of graffiti art. Present about most famous graffiti artists, show examples or best graffiti works and of course don’t forget to mention the amount of money spent each year on cleaning the walls. This entry was posted in Best Prezi presentation templates, Prezi Next Templates and tagged art, creative presentation, creative presentation template, graffiti, graffiti presentation template, graffiti tagging, graffiti template, man paint on wall, paint, ppt template graffiti, presentation graffiti, presentation template graffiti, prezi template graffiti, spray, spray paint, srteet art presentation, street art, street art powerpoint template, street art powerpoint template free, street art presentation, street art presentation template, urban, urban art, wall paint.